My genre of choice is Romance with a paranormal twist. Nothing beats a good romance especially when those you love and have lost come back when you need them most to assist you in unexpected ways. For those of us who never want to get caught without a book but get tired of carrying several of them around at any given time, my books are available for e-readers, palm devices and phones. For those of you who do not have an e-reader, my books are also available in print at Amazon.com. Please have fun searching the site, and I would love to hear from you. All you have to do to contact me is visit the "Contact Me" tab and send me a note. My books are all available in digital format at all major retailers and also available in print & Kindle on Amazon! Her marriage a disaster, Lilly closes the door to her personal life. Can meeting Bruce open a door to a new life or will her fear shut her off from love? All Lilly has ever wanted to do is sing, but being an internationally famous superstar has turned her life into a living nightmare. Closing the door on her destructive marriage, she runs to her best friend's rural home in northern Arizona, hoping to stay out of the public's eye and sort out her life. Bruce Silk, a Flagstaff police officer, doesn't approve of his brother's rakish rock star lifestyle but still keeps an eye on his remote home when he's out on tour. More than once he's had to arrest groupies who invaded the property to steal some small memento from the famous Clay Silk. So why does he feel sucker-punched when he slaps the cuffs on this latest trespasser? When One Door Closes is the first book in the “Rock Star Series.” Another Door Opens, the second book, is now available. Both books are stand-alone novels. 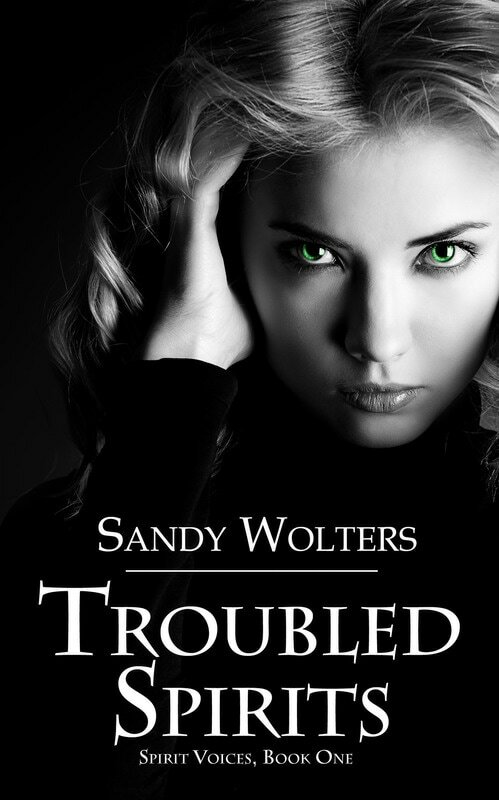 Sandy Wolters is a prolific writer with four other novels to date. Her last novel, Soul Mates, won first place in the Paranormal Romance Guild’s Reviewer Choice Awards for Paranormal Romance-Novella. Ireland 1323 Donovan, chieftain of the Clan O'Brien, has unsuccessfully searched his entire adult life, to the detriment of his clan and all those around him, for that elusive possession that will bring his soul peace. He doesn't know what it is, but he will give up everything to find it. One day, he is summoned by the Wizard and told the secret of his obsession—his soul mate. She is no longer living in his time, but there is a way to bring her back to him. Phoenix 2013 Shandelle and Ian are embarking on their new life together. She is everything Ian ever wanted but never realized he needed before he met her. Shandelle is a generous soul who lives to make Ian and everyone around her happy. Unfortunately for them both, evil is stalking them. The blood bond duty of a close friend brings betrayal and evil into their lives. How were they to know that the death of a six-year-old girl in the early fourteenth century could have such grave consequences on their lives today? How Do You Protect A Woman Who Carries A Gun And Loves To Use It? You Outfox Her While Holding Your Breath! FBI Special Agent Pilar Campos lives and works in a man's world, and she loves her job. What could be better than pointing her gun at people and arresting them? A smartass with a temper, she is not above breaking bones if someone disagrees with her. She enjoys seeing the fear she inspires in her coworkers. Needless to say, she doesn't have many friends. Pilar and her partner, Rick, have been executing surveillance on the Snowflake Militia Group for two years. Everything is going just fine with the twenty-seven-million-dollar operation until she is forced to shoot and kill Thorne Baker, the brother of the self-proclaimed leader of the militia group, Boone Baker. This is the moment her life changes forever. Boone Baker initiates a one million dollar contract on Pilar’s life and will go to any length to avenge his brother’s death. Deputy Director Greg Olsen knows he has to get his best agent into protective custody. He also knows she won’t go even if he orders it; she’ll stay and fight to the end. So, he hatches a plan without her knowledge to tuck her away at a ranch in Northern Arizona owned by Amos Thomas, a man who dislikes people with as much, if not more, fervor than Pilar. Despite her protests, Pilar’s life is transformed at the ranch as she finds peace unlike any she has felt before, and her special bond with the animals astonishes even the most-seasoned ranch hands. Learning to open herself up to the people at the ranch, she develops close bonds with everyone but falls in love with Amos, who wants no part of a relationship. Amos, however, is not prepared for the way Pilar seems to know just what he’s thinking and feeling. She knows exactly how to handle him because they are like two halves of a whole. Encountering one dead end after another trying to locate Pilar, Boone Baker goes to extreme measures to draw her out into the open. In one fell swoop, he crumbles her world around her, destroying what is most precious to her. 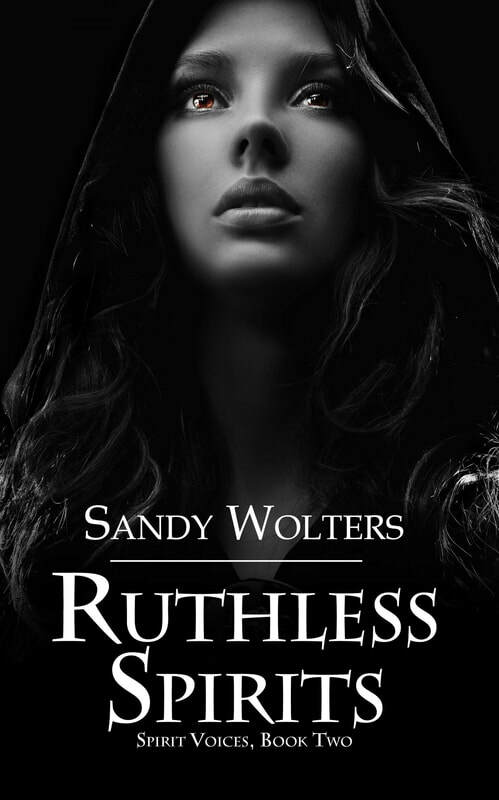 Will she be strong enough to continue on, or will he get his revenge? Rachael Merchant is on a cross country trip, running from the tragic images of her last case that are embedded deep in her soul. A City of Phoenix Homicide Detective, she is trying to deal with the freak show her life has become. Three days ago, she was sitting in a hospital room with a man who had just murdered his three small children because he was angry his wife had left him. After making the arrest, she let the perpetrator know that when he got out of prison she was coming after him, that he would not be able to hide from her. She left the hospital, went back to work, and quit on the spot. After a great deal of persuading, her captain convinces her that an indefinite leave of absence is in order instead of quitting. She goes home, packs her bags, and jumps in the car. With no destination in mind, she just drives. Rachael finds herself on the side of the road, unsure of where she is and talking with her partner on the phone. All she wants to do is run as fast and as far as she can from the image of those three small babies with bullets in their bodies. Officer Patrick Sheehan pulls in front of Rachael while she is bent over the hood of her car looking at a map. He overhears the conversation between Rachael and her partner and thanks fate for dropping a homicide detective right in his lap. His good friend, Emily, was murdered just days ago and Patrick knows who killed her, her husband and his boss, the Chief of Police of Brownwood, Texas. Boyd Campbell has taken extreme measures to cover up his wife’s murder but Patrick is going to do everything in his power to put this monster away. He doesn’t care what he has to do or say to get this cop to stay and work this case. He needs her help and she is just going to have to deal with it. She can just blame fate for bringing her here when he needs her expertise. After all, the only important thing at the moment is getting justice for Emily. July 4th, 2005, Maggie’s wedding day was the happiest day of her life, the most painful day of her life, and the day she died three times. Maggie lives as a recluse in the home that she and her dead husband, Jimmy, built together. It's all she has left of him. She has her friends but has turned her back on the world and any possibility of spending her life with another man. Five years after Jimmy's tragic death, Maggie's world is once again turned upside down when their home, the last hold she has to her husband, is destroyed. Maggie is thrown into the path of a man, the only man, who can bring her back to life. Elk Bend Chief of Police Michael Rogers is there to help her pick up the pieces and move on. Rafferty, a close friend, has loved Maggie for years. Waiting for her to get over the loss of her husband so that she can be with him, Rafferty inserts himself into Maggie's life so deeply that she doesn't see his obsessive behavior— that she was being stalked by Rafferty even before the death of her husband—nor the danger that Rafferty represents to her. Rafferty believes Maggie is his, and he will do whatever he has to do in order to keep her. Will Maggie be able to start a new life with Michael? Or will she be so consumed with the fear of losing him that she is paralyzed to move forward with her new life? Will Rafferty have the power over Maggie to extinguish any feelings she has for Michael? Or will he destroy her trying to wrestle her away from her fate with another man? In this steamy contemporary romance with a ghostly paranormal twist, the depths of love as well as sorrow are explored as you experience the horror of Maggie Mae’s husband’s death, the joy and laughter of friendships, and, most of all, the wonder when love transcends death.